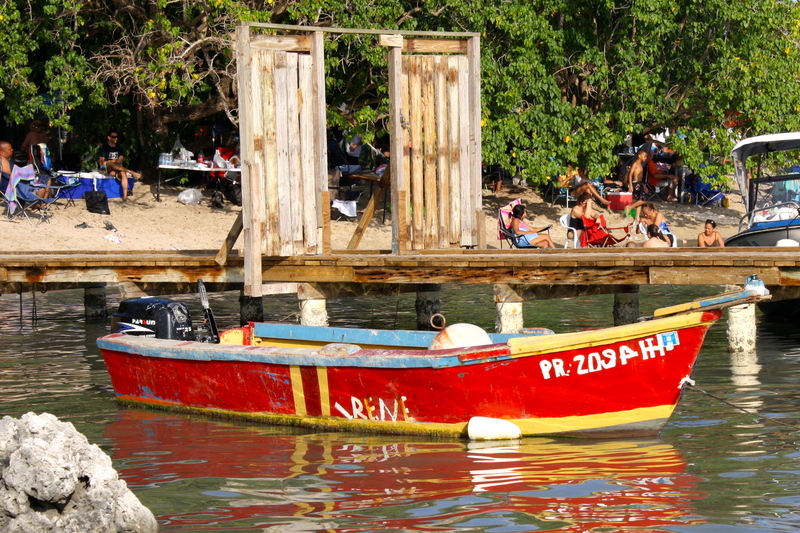 Boqueron is a Beach Village located in the town of Cabo Rojo, Puerto Rico. According to local folklore, after the Puerto Rican pirate Roberto Cofresí shared some of his treasure with his family and friends, he would hide what was left over in a cave located in “Barrio Pedernales” which is just south of Boqueron Bay. Throughout the years no one has found any treasure in the cave. I didn’t find the hidden treasure, but this colorful gem stood out in a sea of yachts and fancy boats. It was an unexpected feast for the eyes amid the standard white vessels. Not a bad way to live life in general! Brighten someone’s day by being the unexpected color in the midst of their otherwise color muted day. Check out more entries below! Beautiful shot! Makes me miss summer!! Even small boats always have a woman’s name. That is a great spot for a nap! Love the colors. That looks heavenly right now as I’m wrapped up in my sweater.